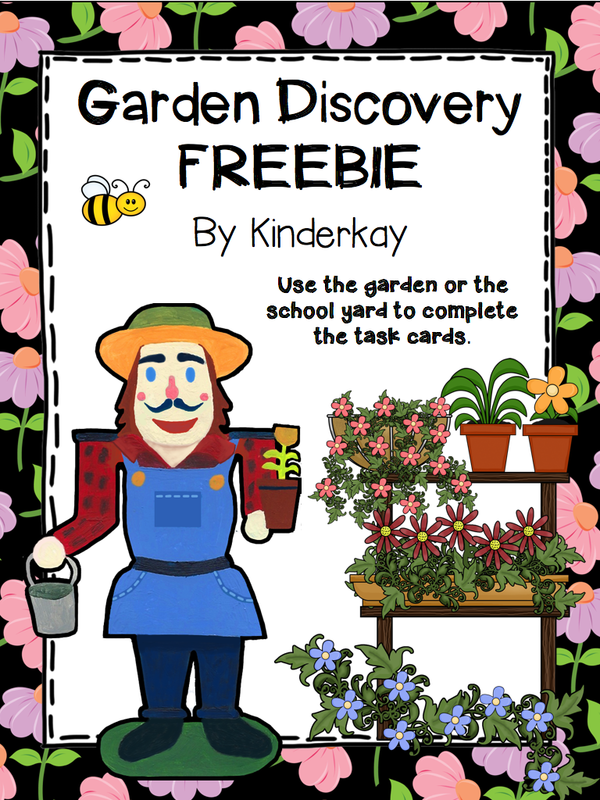 Blog Hoppin': Gardening with Kids - With or Without a Garden! 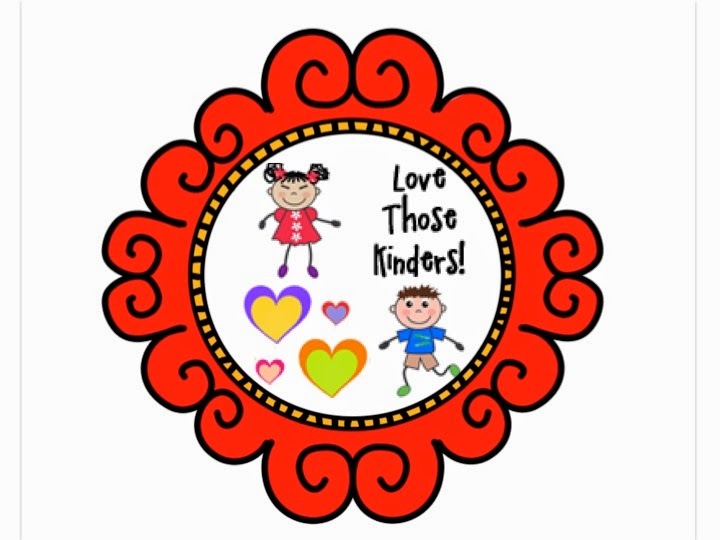 This is Cindy (Kinderkay) from Love Those Kinders. It is the end of July and I am thoroughly enjoying my summer! It is so wonderful to step back, reflect, and not run on a schedule for a few months. One of the things that I LOVE in the summer is gardening. I have 6 small flower beds in my yard and am in charge of our garden at school. Nothing brings me more joy than to spend a few hours among the flowers, bees, and quiet! I thought I would share with you a few ways to enjoy gardening - with or without a school garden. 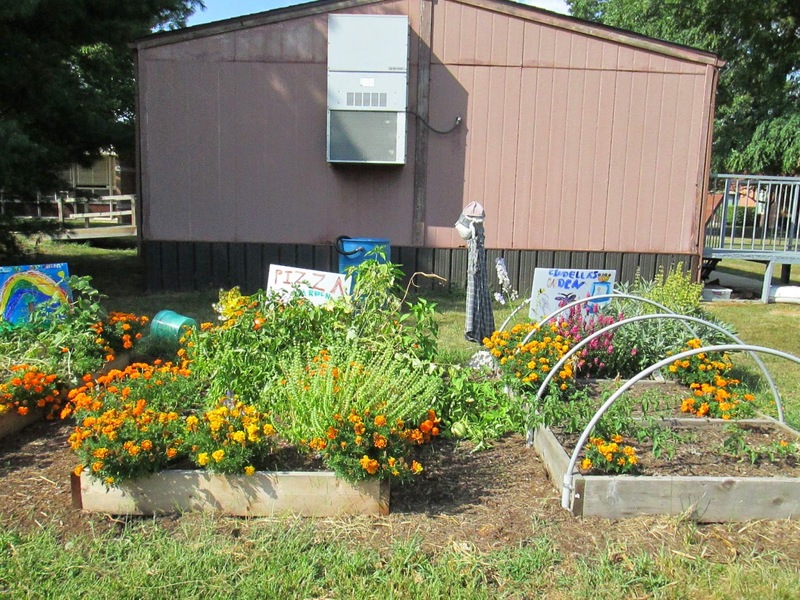 I am lucky in the fact that I have 3 raised beds at school that we use to plant a variety of flowers and vegetables. We use these beds for so many things in the fall..... We look for insects. We look for vines and stems. We look for leaf shapes. We look to see if we can find all the colors of the rainbow. We take our plastic spoons outside and dig a small area to see what we can find under the soil. We look for living and non-living things. We use our ears to listen - I love using this sense because the kids have to get REALLY quiet. They hear things they often ignore like birds singing, wind blowing, and jets flying overhead. Each child has a clip board, a pencil, and paper. They use this to sketch or to do texture rubs. 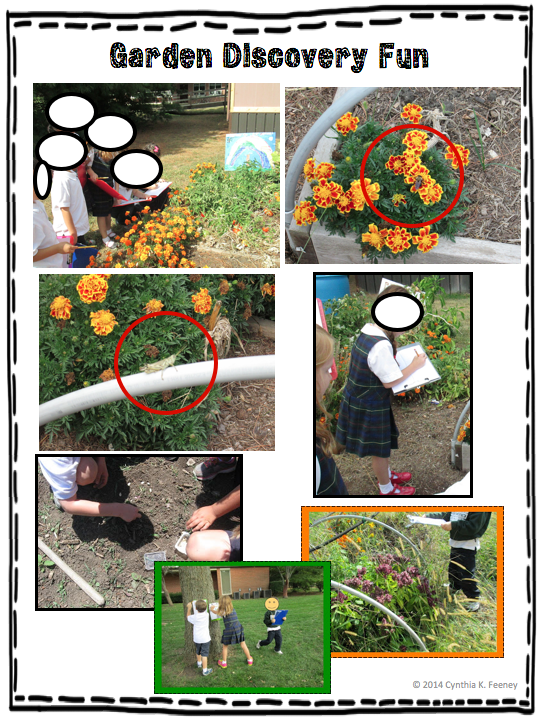 I have a sixth grade partner who enjoys the garden as much as I do, so we work hard to find a time when our classes can come together and do an outdoor scavenger hunt. We pair a 6th grader with a kindergartner. Both the big kids and the little kids LOVE this opportunity to work together! 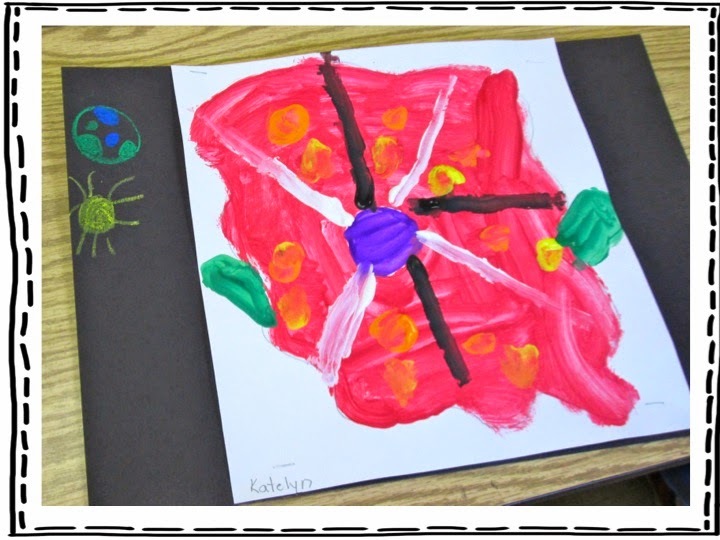 Another fun activity that we do is to link our outdoor activities to an artist study. You can use any artist that does naturescapes. The artist that we link to is Georgia O'Keefe. We like her because she paints little things BIG! This gets our kiddos busy using their eyes to look for tiny things in the outside. 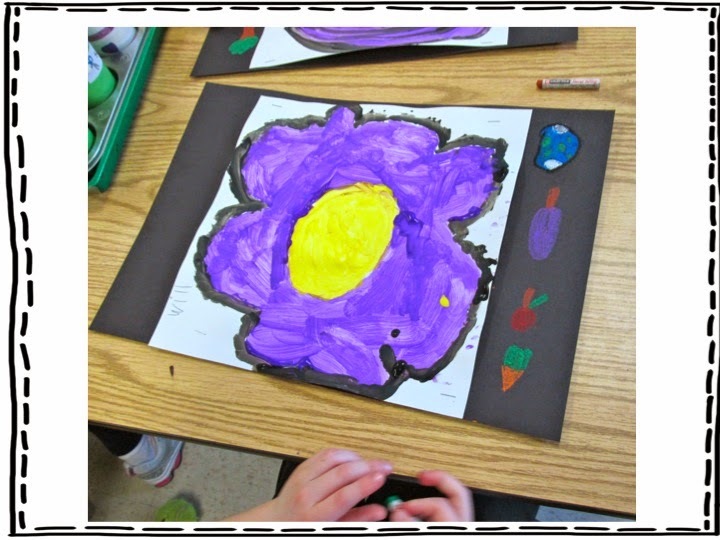 After they have had the opportunity to explore, we show them examples of Georgia O'Keefe's work and then get them busy creating their own masterpieces!